Artisanal production. 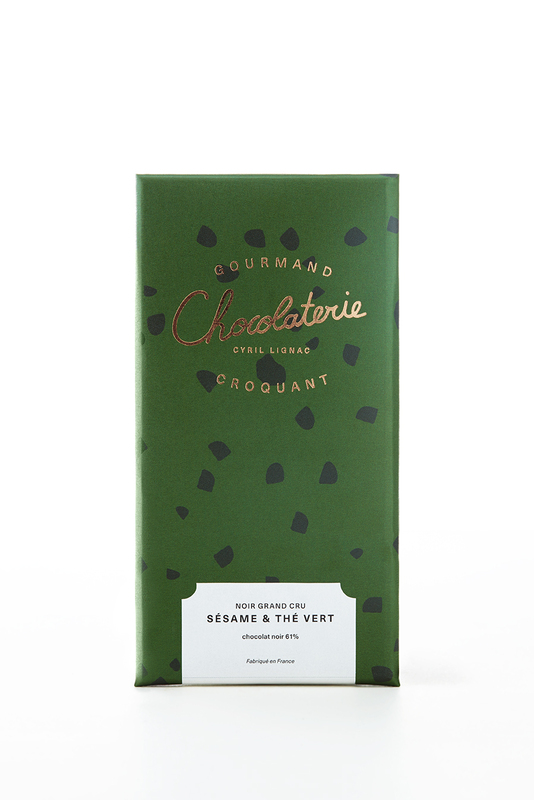 Special attention has been paid to these bars made by artisans in the chef’s atelier. Particularly when selecting their ingredients. 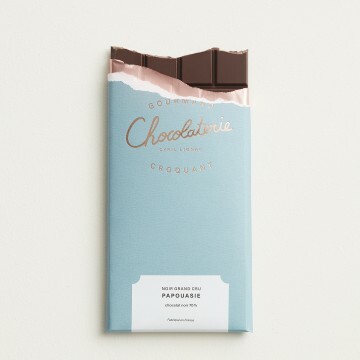 For classic bars, for instance, 4 of the finest kinds of cocoa of different origins were selected, chosen for their high quality and typical features. 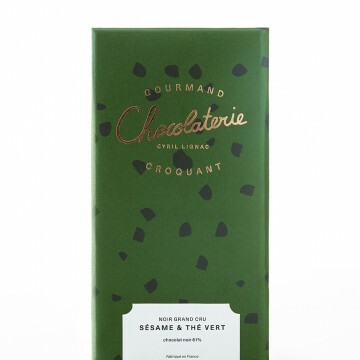 The same care has been lavished on the choice of the finest hazelnuts, almonds and sesame seeds which are encrusted in the bars or go to make up the filling for candy bars. 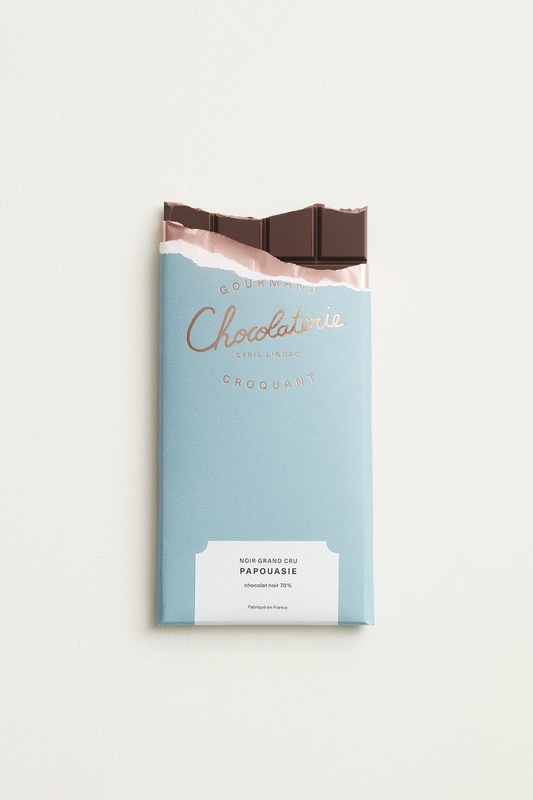 Each “family” of bar has its own mould, with a design tailor-made for La Chocolaterie. 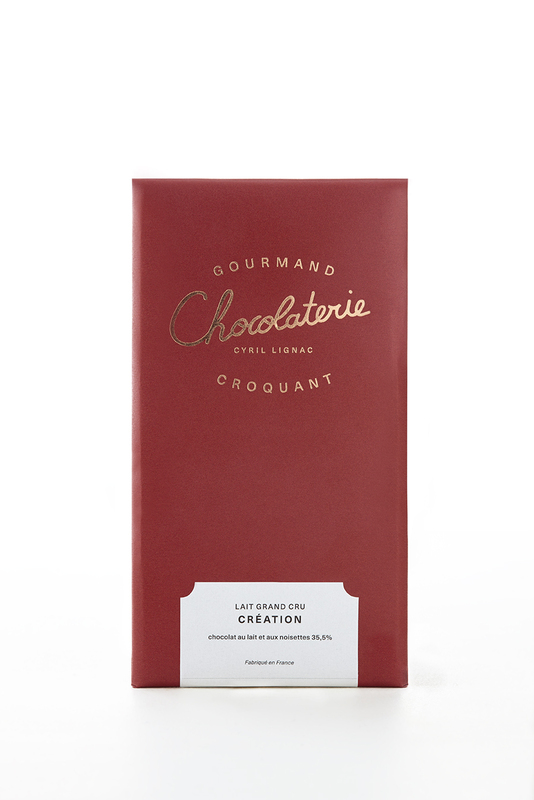 Origin : Travel the world with the four “vintages” of specific origin: Ecuador (62% cocoa), Papua (70%) and Venezuela (72%). 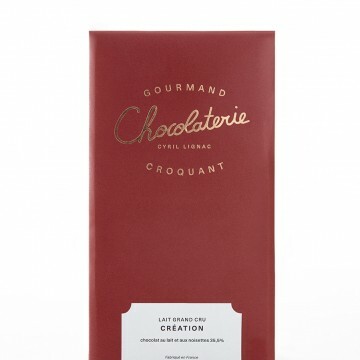 Even fans of milk chocolate are entitled to their own “vintage” of real delicacy: Le Lait Grand Cru (35%), specially designed to whisk us back to childhood. Inclusion : Dedicated to fans of crunchy details, inclusion bars play the “crunchy/gourmet” ace with a demonstration of flair and real creativity. 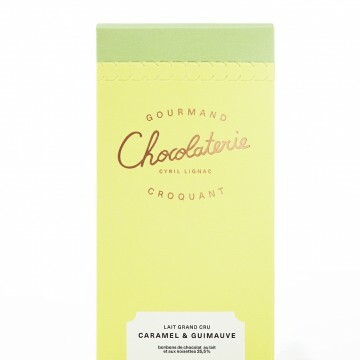 Bonbon : For Cyril Lignac, chocolate bars are a delicious treat and one to be shared. Which is why he has dreamt up 5 recipes for bars with fillings, in squares that can be broken off to become individual pieces to share with friends. 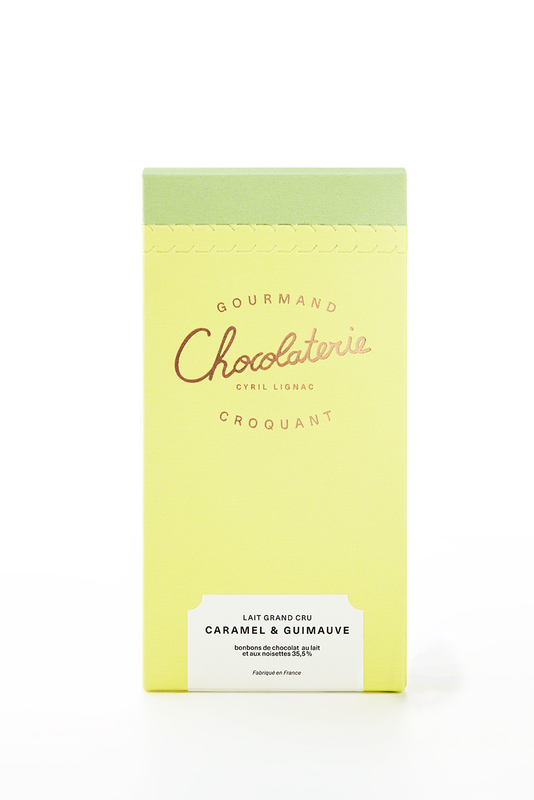 Each bar is thus comprised of 18 bonbons or candies.